After three months of listening, reviewing, and contemplating our Audie categories, Team Armchair Audies has made our selections for the 2013 Audie Awards. This year the nominees in 17 categories have been reviewed or blurbed 111 times to date. More will be coming in over the next week. While there may have been a couple of categories judged by teams last year, this year we had several and each group worked very well together to determine the winning titles. No matter how many of our winners match those actually given an award by the APA ion May 30th, the 2013 season of Armchair Auides is quite a success. We experienced increased participation, a new blog, a Facebook page, and even captured some media attention along the way. I could not be more proud of this team and what we’ve accomplished. Now we can enjoy the spoils. 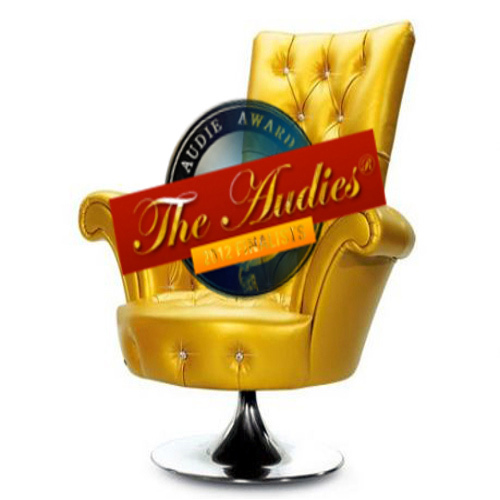 I hope Team Armchair Audies and other audiobook fans interested in following the award show next week will download their own copy of the 2013 Official Armchair Auides Ballot and print a copy. Our winners are highlighted in red and you can check the APA winners off as they are announced last night. If you’re like me, you’ll be getting your news from the Audie Awards ceremony via some wonderful people who are actually there in New York City. You can keep track of all the action (and maybe a picture or two) by following hashtag #ArmchairAudies. Thanks to each and every member of Team Armchair Audies and all those who have supported us along the way.